for tourists at museums, archaeological sites and temples will be increased starting October, so that tourist agencies will not be surprised by the increase when conducting contracts for the winter season. The ministry, according to Anany, has not raised ticket prices since 2010. The average increase will range between 50-60 percent to cope with changes in the US dollar exchange rate. He said it is unreasonable for tourists to continue visiting the pyramids for only US$4, adding it will be increased to US$6, which is acceptable though not equal to the appreciation of the dollar rate. Ticket prices at the pyramids will be raised from LE80 to LE120, the Valley of the Kings in Luxor from LE100 to LE160, the Egyptian museum from LE75 to LE120, Abu Simbel temple from LE100 to LE160, and Kom Ombo temple from LE40 to LE80. 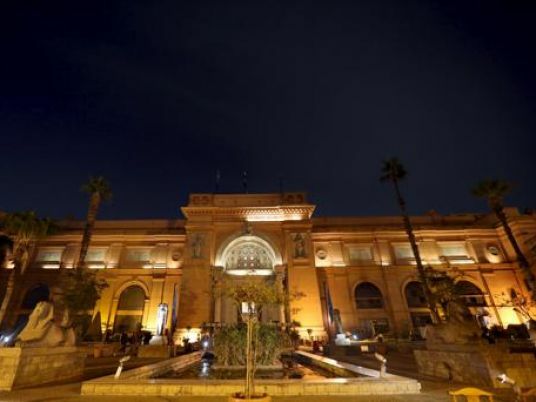 Anany indicated a huge problem in funding employees' salaries, saying that LE81 million is required to pay their wages, while the total income from visits to the archaeological places accounts for only LE2.6 million. The ministry signed contracts for two projects to clean and secure archaeological sites at LE15 million, he said. The ministry is being attacked all the time, he added, saying that no one knows the troubles they have due to the lack of funding. However, Anany said he decided to reduce the fees for photography at archaeological sites to help promote tourism. He added that increasing the ticket prices is a must to resume development of several projects, including the pyramids area.